​It's a widely known that actor Suriya will be essaying three different roles - Athreya, Mani, and Sethuraman - in his upcoming sci-fi thriller, 24. The film is directed and written by Vikram Kumar and produced by Suriya, under his home banner, 2D Entertainment. 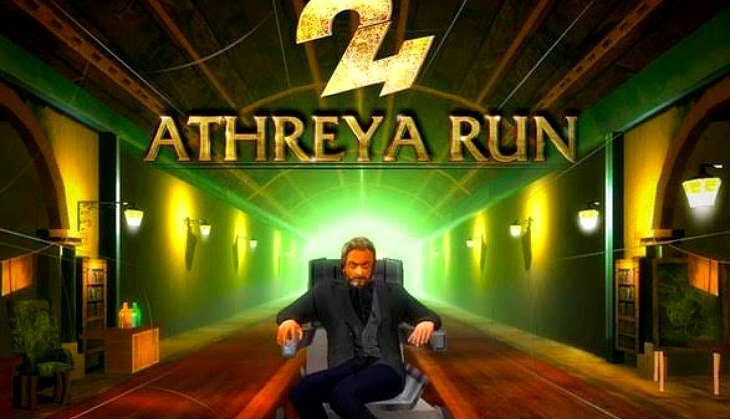 And now Suriya has released a game based on his film, titled 24: Athreya Run. On Monday evening, Suriya's production company released the official trailer of the game which has been created by Creative Monkey Games. The super cool game trailer looks exactly like the trailer of the film and features Athreya's popular dialogue, "I have come for my watch". The game trailer looks quite interactive with character Mani jumping over huge obstacles and Athreya chasing Sethuraman.